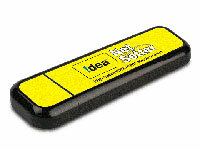 If you facing Problem to use different Network In Idea Net setter Huawei EG162G MODEM or Other MODEM, Get Unlock Code . If You Happy to Unlock Your Idea Net Setter and You want to get More Services like this, Share our Website..
That link really worked for me!!!!!!!!!!!! I unlocked my Net Setter. This is some sincere job done here. Good Work! Thanks! Well ! I would like to share my unlocking experience here . I used unlock code to unlock my Huawei Eg162g from network lock . I have bought code from the provider ProUnlocking.com to unlock it ,.